The same again but different. The blossom on our fruit trees this year has been the best since we planted them. We’ve had flowers for the first time on our pear, plum and crab apple trees, and even our most recalcitrant apple, a traditional local variety called Court Pendu, is looking like it might have some blossom soon. 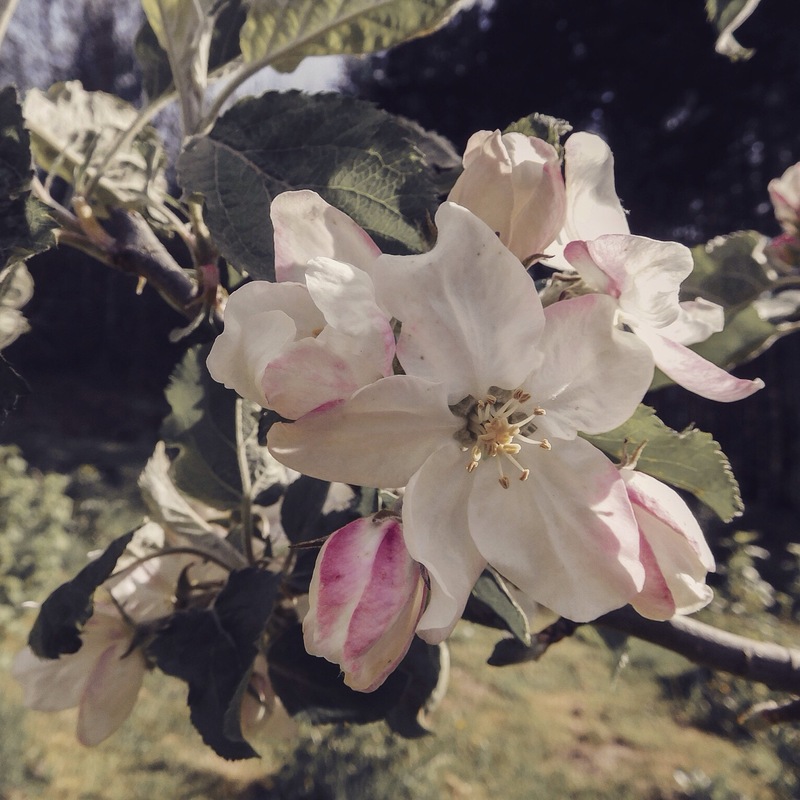 The blossom in the photograph is our most reliable tree, a Reine de Reinettes (also known as King of the Pippins). We’ve had apples from it for the last couple of years. Fingers crossed it won’t be the only fruit we harvest come autumn. That’s a really great photo; looks like a painting. I could see this image , en repeat, as feature wallpaper!